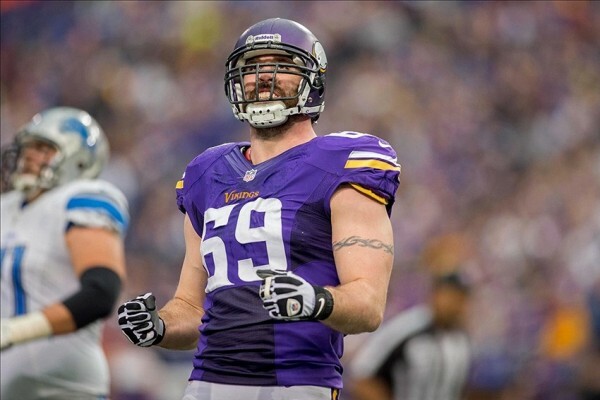 One of the more productive defensive players of the last decade, Jared Allen, is becoming a free agent. While there is the option of re-signing with the Minnesota Vikings, there’s a very good chance he’ll find himself playing for the Tampa Bay Buccaneers next. Why? Well, Allen had his best seasons under Leslie Frazier in Minnesota, both as a head coach and an assistant. Frazier is on the coaching staff under Lovie Smith in Tampa, and bringing the two back together sounds like a very reasonable idea. The Vikings aren’t going to franchise Allen, but the reports of the salary cap reaching as high as $135 million next season makes it more and more possible for teams to spend on veterans like Allen who is no longer an 8-figure player, but should still get quite a nice price in the open market. The issue here is what Allen wants. He has said more than once than he has no intention of becoming a situational pass rusher, which also means taking a significant paycut for taking less snaps. However, at 32 (his age when next season begins), a little bit of extra rest might not sound so bad for him, especially if it means playing for a team with a chance to win a Super Bowl. Because Allen has said in the past that he’s chasing a ring. That isn’t going to happen in Tampa Bay or Minnesota, not next season. And if the only way for him to play on a contender is becoming a less than full-time defensive end, he might just change his mind about playing less. Allen has 11 sacks or more in each of the last seven seasons and is one of the few players to lead the league in sacks twice, including 22 in the 2011 season. He finished with 11.5 last season, showing a decline that’s only natural to see from a player who has hardly missed a game throughout his 10-year career, playing in 157 of a possible 160 games. The Bucs sorely need a playmaking defensive end to join the team, but it’ll cost them a lot of money to bring him over, because they don’t have the championship pedigree or aspirations right now to make him give them a discount.